Attention all creative fashionistas! The ultimate guide to drawing today's most stylish fashion designs has arrived! 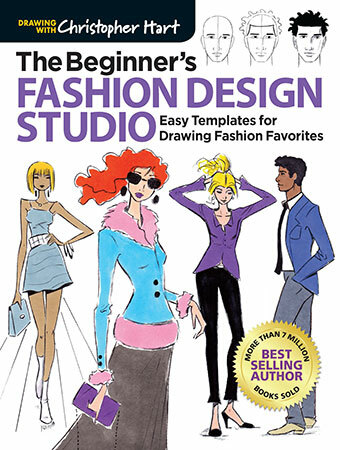 In this sequel to Christopher Hart's bestselling how-to-draw book Fashion Design Studio, aspiring fashion designers can access easy templates for drawing the designs of their dreams. This book not only covers the basics of drawing dresses, tops, pants, and accessories, it digs into all the dreamy details that make fashion so much fun. Fashion-forward details such as hi-low hemlines, cut-out shoulders, patchwork denim, high-cut waistlines, floral- print ankle boots, and carefully clashed patterns. Classic cuts that are perennial favorites are the starting point for drawing mix-and-match outfit details that will spark any aspiring designer's creativity. Offering accessibility, versatility, and on-point style, this is the guide every aspiring fashion designer needs for learning to draw their most fabulous creations.